Hi,I am new to the custom loop building. But i have some problems understanding to connect these things accordingly. I connected the Aquero to the Hubby7 and don’t have any internal usb 2.0 free anymore due I have more hardware that needs internal usb. Anyway I connected the Aquabus X4 on the Aquero because I want to connect the Pump, Reservoir and Flow sensor to it. I use the Aquaero RPM to connect to my mobo’s cpu fan connection. All my sensors I connect also on the Aquero. I have from monoblock and gpu block 2xrgb but I really want to use aurora (asus) and my mobo has 2 rgb headers. Does the Aquero use Aurora or better use mobo’s rgb header for this? The pump has gets power from sata so the bus cable only is a 3pins kabel, I read somewhere that I will miss some functions. I leave the rest of the connection on the pump empty because the Aquero is going to take over the pumps controller function? Or do I need to connect some from the pump to the Aquero, if so what do I needto connect further to the Aquero? The Aquainlet has also a 4 pins aquabus connection so I want to connect this also with a 4pins cable to the Aquabus X4. if I connect the aquainlet with a 4pins cable to the aquabus x4 then I don’t have to use the usb connection to connect to the pc? I read that if you have 4pins cable connected on the aquabus you can draw power from there, atleast the flow sensor manual points that out. what do I need to connect more from this device to the Aquero? ah shoot i see i posted it in the wrong forum section, can the moderator move it too the english forum? - The Aquaero does not support Asus Aura RGB. You must connect all your RGB coolers to your Mainboard RGB Header. - It is recommended to connect the Aquastream Pump with USB to your Hubby 7, and the Hubby 7 must be connected to an USB Header on the Mainboard. You can control the Pump with the Aquabus connection, but to update the pump firmware, an USB connection is required. - If you connect the Aquainlet with Aquabus to the Aquaero, the USB is not required. - It does not matter where you put the flow sensor in your water loop. The water flow is the same in every location. ah thanks for your reply. now i am just wondering with the flow meter. 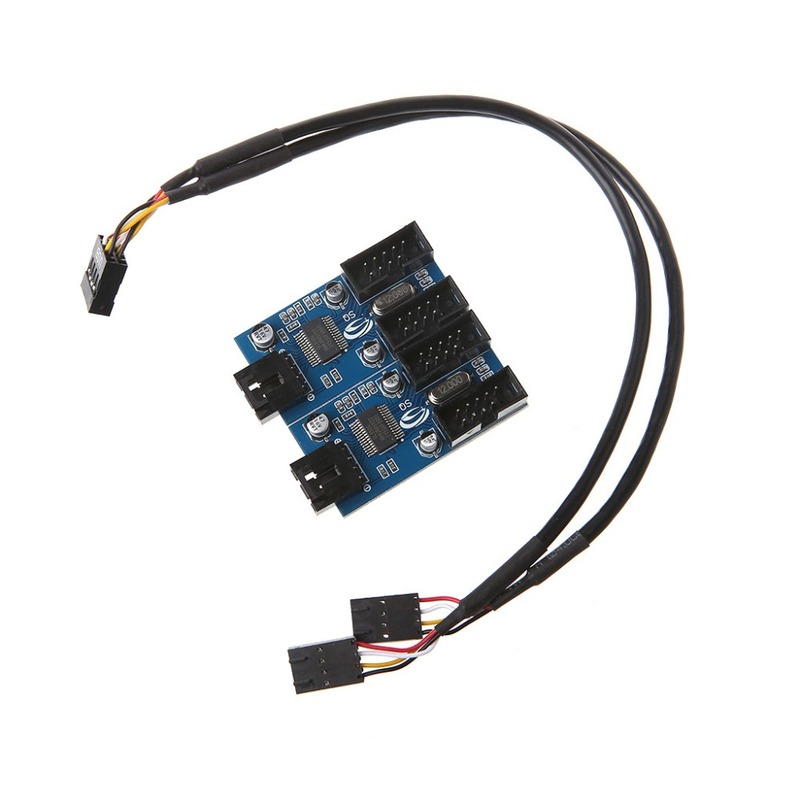 so i assuming when i go from the aquabus (flow sensor) too the flow 2 (4pins aquero)? and i dont have to use the usb connection on the flow sensor? this part i dont get fully? You can control the Pump with the Aquabus connection, but to update the pump firmware, an USB connection is required." why is it recommended, just for the firmware update? It looks like you have some feature overlap. The Aquaero will probably do all the control duties, whereas the control capabilities of the pump and flow sensor will go unused. There's a "dumber" version of the flow sensor, and a "smarter" one. You have the smarter one, which is (I think) overkill if you also have the Aquaero. but i can use all feautures from these devices with the Aquero? except if i dont connect the pump with usb i cant update firmware? by the way can i chain this with the hubby7 due that i need 1 usb connection more? or can i chain an extra hubby7 to mine existing hubby7? I assume you probably can, but I don't know unfortunately (I only got my own first Aquaero yesterday, and my other devices don't have any controller functions: a simple PWM pump, the simpler version of your flow sensor, several temperature sensors). Until someone with more experience replies, you'll probably have to rely on the rather informative product pages and manuals. in theory, the usb protocol allows you to chain a maximum of 5 usb hubs. problems can be the power consumption of the connected usb devices, incompatibilities between the usb hubs and data transfer speed problems. if the power consumption of all connected devices together exceed 500mA (=2.5 Watts), some devices will be dropped and/or wont function properly, causing problems. the hubby7 is a usb 2.0 hub, so the transfer speeds are slow. i dont know the usb speed of the hub in your picture. you should connect the faster hub to your mainboard, and the slower hub into the faster hub. A firmware update of the pump is sometimes necessary if you update the aquasuite software. for this you have to connect the pump to an usb port and do the firmware update. after the update is done you can disconnect the pump from the usb again. if you dont update the firmware, the pump can no longer be controlled with aquabus until the firmware update is done. the one in the picture is also a usb 2.0 the only reason i post this hub is because the delivery time of the hubby7 exceeds 12days, cant wait that long. but i am going to connect the hubby7 on mobo and also plugin the sata cable, every device that needs speedy data transfer i connect to hubby so that leave only my Termaltake fan controller and that i can plugin in to the chained hub. so everything has their own usb 2.0 connection. today i connected everything. but somehow i am confused how things work. 1) When i start the PC. it turns on, within 2seconds it powers off and then after 2 seconds it powers on and boots in to windows? 3) the pump i only see when i soley connect it with usb. as soon i connect the aquabus to the aquero 6 XL then it doesnt see the pump anymore? i connect the pump from pumps aquabus to the aquero aquabus connector? 4) i dont see the aquero in the Aqua suite? 5) i also connect the aquainlet resevoir with usb and aquabus, but dont see that too in the Aquasuite? ah this one is solved, by setting the speed signal / output in alarm configuration to "Power switch (53217)"
then after 2 seconds it powers on and boots in to windows?" it seems i have bad luck and will never get the Aquastream and Aqauero working with my hardware setup. i disabeled XCHI in the bios and cant find Intel RTS but maybe because i have an AMD mobo? i have no clue anymore to get this working, so no i am stuck with 2 aquastream ultimates, 1 aquaero, 2x aquainlets. i cant control them.